SunTimes.com : Sure, Apple Computer's iPod has been around since 2001. But 2005 was the year when the digital music player really arrived, becoming as much a part of the culture as Sony's Walkman once was. And 2006 promises to be another big year for iPod nation. Speculation is growing about what Apple will deliver next, even as Fifth Generation iPods -- the first to offer videos, introduced last fall -- still seem new. The Mac insider newsletter called Think Secret, at www.thinksecret.com, claims it has seen the future: a video iPod with a screen covering the entire face of the device to replace the commemorative-stamp-sized 2-1/2-inch screen on the original iPod. Also, the new iPod will feature a touch-screen click wheel to replace the clunky mechanical click wheel. Think Secret reported: "Sources who have seen the device report that it features a digital click wheel, one that overlays the touch-sensitive display and appears when a finger touches it and disappears when the finger is removed." Some skeptics think fastidious Apple fans won't put up with fingerprints on the touchscreen, and others think it's too soon for Apple to be moving into 6G. In any case, users are eagerly awaiting April 1, the 30th anniversary of Apple, when Think Secret predicts Apple co-founder Steve Jobs will announce the 6G at Macworld Expo in San Francisco. *More than 30 million iPods were sold last year, bringing total sales to 42 million units since the original product debuted in 2001. If applied only to the U.S. population, that would mean one of every 10 of us is carrying iPods. *Apple sold 14 million of the music players in the last quarter of 2005. *Almost 24 million iPods will sell this year, Needham & Co. has estimated. Needham estimates 100 million Windows users will own iPods by 2008. *Analysts estimate that iPods have up to an 80 percent share in the hard drive-based music-player market, while the companion iTunes music service has 70 percent of the digital download market. *Apple doesn't disclose sales of individual models. But Think Secret said during the fourth quarter, Apple "moved 3.9 million 5G iPods, exceeding internal estimates and confirming that strong demand remains for higher-capacity, higher-priced iPod models, especially with additional functionality." Playlistmag.com : Gear4 has introduced the IceBox X-Clip Series, a new line of interchangeable accessories designed for Apple’s iPod nano. The line starts at $22. The first two IceBox C-Clip devices are a clear hard plastic case for the iPod nano, equipped with a belt clip attachment, retailing for $22, and the IceBox C-Clip Splitter, which combines the belt clip attachment and a headphone jack splitter, for $29. Gear4 plans in short order to expand the X-Clip line to include other accessories. Also included with the current devices are a two-piece protective film to keep the iPod nano from getting scratched and a lanyard. 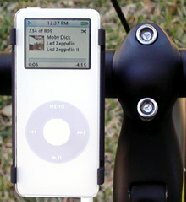 The iBikeMount is an iPod nano accessory that allows you to mount your iPod nano to the handlebars of your bicycle. It can also be used with exercise machines and even baby strollers. Once connected, it is easy to operate the Nano and see what's playing. It attaches to a variety of handlebar sizes (22 mm–26 mm) and requires no tools to install. The iBikeMount is priced at $30 and will begin shipping on March 15, 2006. 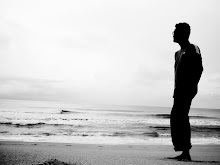 About Me: Saya, anda dan kita semua hanya INGIN jadi baik, belum benar-benar jadi baik. Maka bermujahadahlah untuk jadi baik. The Apple Iphone - Why?